Screenshot of TV ad paid for by No on 1 campaign that ran in October 2014. How to vote on Question 1 on November’s ballot — which would ban the use of bait, traps and hounds in bear hunting — is an emotional decision for many voters. Moral objections to the use of traps and hounds in bear hunting will undoubtedly drive many voters’ thinking and their “yes” votes. So, what trumps a response driven by morals? Fear. The campaign urging a “no” vote on Question 1 is playing to voters’ fears, the lowest common denominator in campaigns, as Election Day closes in — fears of what could happen if Maine hunters lost the ability to bait, trap and hound bears. And this comes after months of a campaign in which the No on 1 side has largely made a rational appeal for “no” votes — that the three bear hunting methods in question are the most effective population management techniques available. Worse, the “No on 1” campaign continues to throw the full weight of a state agency behind its message. One recent ad from the “no” side starts off with the recording of a 911 call from a frantic caller reporting a bear attack at his house in Orlando, Florida. 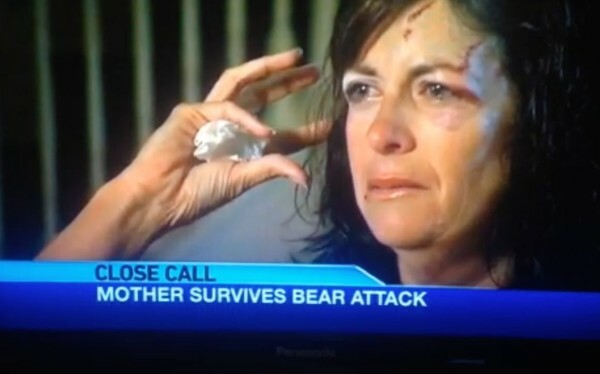 It transitions to news clips of an interview with a woman, the caller’s wife, who was mauled by a black bear she found in her garage in April. “This attack happened in Florida, where there are no controls on bears,” a stern-sounding narrator says. “Maine’s game wardens and bear biologists strongly oppose Question 1,” he adds as a stern-looking group of uniformed Department of Inland Fisheries and Wildlife employees appear on screen. Another ad shows a mother watching the same news coverage of the Florida bear mauling and looking out the window to her young son who is playing soccer, presumably concerned he could meet the same fate. The comparison to Florida is invalid. Throughout the campaign season, DIF&W has circulated a graphic showing much higher rates of bear-human conflicts in Connecticut and Florida than in Maine. But the comparison doesn’t work, since Connecticut and Florida have significantly larger human populations encroaching on bear habitat, higher population densities and smaller bear populations. Maine’s circumstances are entirely different: The largest concentrations of bears in Maine are not in the state’s most densely populated areas. They continue to use state resources for a political campaign. While a judge has ruled the state can continue its level of involvement in the Question 1 campaign, legal isn’t the same as proper. The state has devoted significant public resources this election season — most significantly, staff time for debates, editorial board meetings and other public appearances along with prominent attention on DIF&W websites — to political activity. The department has not yet fulfilled a FOAA request from the BDN for the amount of time and value of resources it has devoted to the campaign. Maine law outlaws such political activity for state employees when it comes to candidate elections. The law should be changed to also apply to ballot initiatives. In the interim, DIF&W should step back from the political spotlight. We endorsed a “no” vote on Question 1 based on our read of the fact-based arguments put forth by both sides in the debate. Advocating for a “no” vote based on fear is dishonest, and doing so with public resources compounds the wrong.